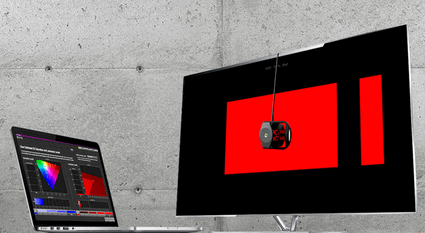 See cinema as the director intended, by getting your display calibrated. It’s the service even the best home theater needs, and it’ll make yours ready for lights, camera, action! Although many enthusiasts realize the underlying need for calibration, few actually get their display calibrated. 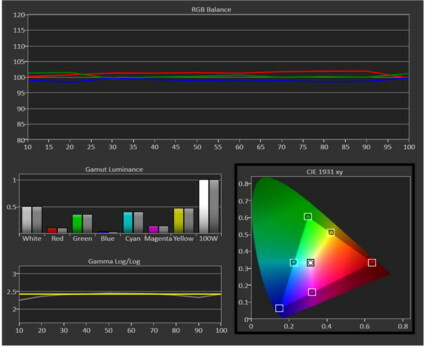 Getting your video correctly calibrated not only maximizes the performance of your equipment, but enables you to see films as the director intended. Most displays are just not engineered well enough to hit standards perfectly. So the engineering sample matched the standards. Great. But what about the rest of the units rolling off the manufacturer’s factory floor? Not only do most displays fail to hit the spot, but many manufacturers intentionally ship displays with gaudy, oversaturated settings in an effort to stand out on the showroom floor. While some folks try DIY calibration using test discs, the reality is that you need proper test equipment, and that’s expensive. For less than the cost of your own probe and calibration software, you can hire a certified calibrator to do the job for you, using thousands of dollars of professional-level equipment. Acoustic Frontiers Video Calibration service optimizes the performance of your display to Imaging Sciences Foundation (ISF) calibration standards. We use SpectraCal CalMAN calibration software together with high grade pattern generators, spectroradiometers, and colorimeters to achieve professional results. For flat panel, monitor, or projector to quantifiable measurement targets for image brightness, greyscale, color temperature, color points, and gamma using display controls as well as outboard video processors. Many displays have significant color non-linearities which can be corrected using the color cube technology found in the latest video processors. Even if you have a good display you might benefit from this technology, which has only recently become available to the end consumer, but is used consistently in Hollywood grading suites and post-production houses. Many enthusiasts will want to learn more about the targets we aim for during a calibration, the settings that are being tweaked, and the measurement equipment—we’re happy to share our knowledge and answer your questions.